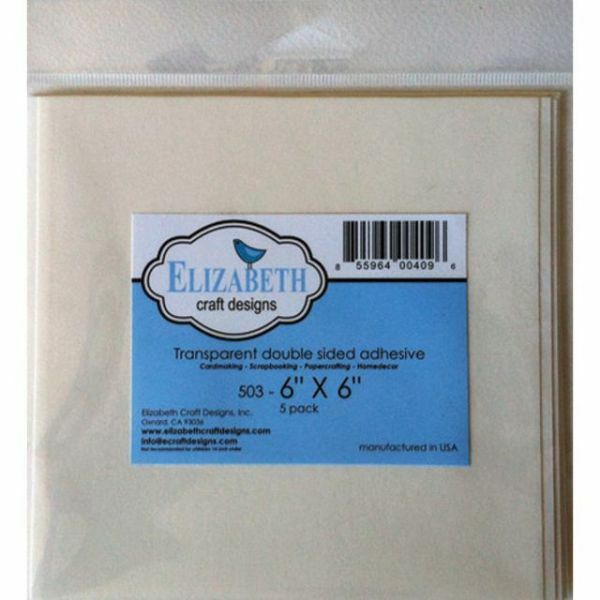 Elizabeth Craft Double-Sided Adhesive Sheets - ELIZABETH CRAFT DESIGNS-Double Sided Adhesive. These pages are useful to all cardmaking, scrapbooking, papercrafting and home dcor projects. This package contains five 6x6 inch sheets. Made in USA.